A young boy who was pronounced dead after an unfortunate incident, reportedly came back to alive. 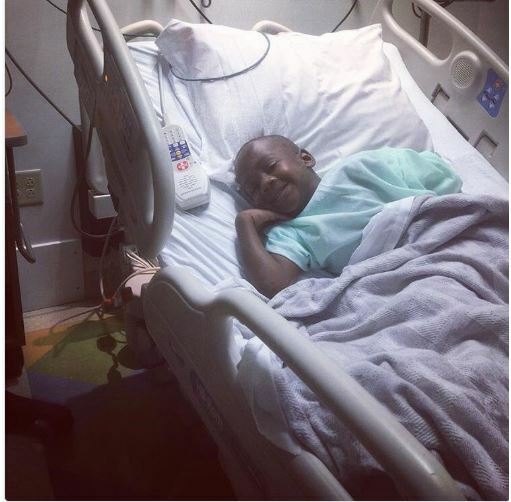 According to motivational speaker Jared Sawyer Jr, the boy drowned on Sunday, July 29th and was pronounced dead on the scene only to wake up few hours later and was rushed to the hospital where he is recuperating. Meet Eric, he DROWNED YESTERDAY and was pronounced DEAD on the scene a few hours ago but he miraculously CAME BACK TO LIFE! MY GOD IS GOOD!!! #JesusIsReal #MiracleWorker #DeathIsDefeated..